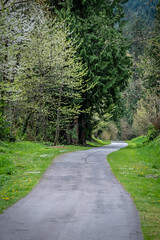 Aug. 17-20, possibly extending to Aug. 21: The Green River Trail in Kent from South 262nd (Alder Lane) to the Green River Road trailhead will be open on the morning of Aug. 17, then closed to all access until Aug. 20, and possibly until Aug. 21. The trail closure could be extended downstream from Alder Lane to Central Place later in the week. While the trail will reopen for the weekend of Aug. 22-23, some portions of the trail could still have unpaved surfaces, and trail users are urged to use caution. The trail segment between State Route 181 and the trail bridge south of South 180th Street is closed by the City of Kent and the U.S. Army Corps of Engineers for levee reconstruction. For further details, please visit our press release.